Recently, in health care industry a new trend has been seen – curing patients with the help of pet therapy. Many doctors and surgeons are advising patients this treatment seeing the countless advantages it provides. Not only confined to physical health, pet therapy helps in maintaining and enhancing overall health. 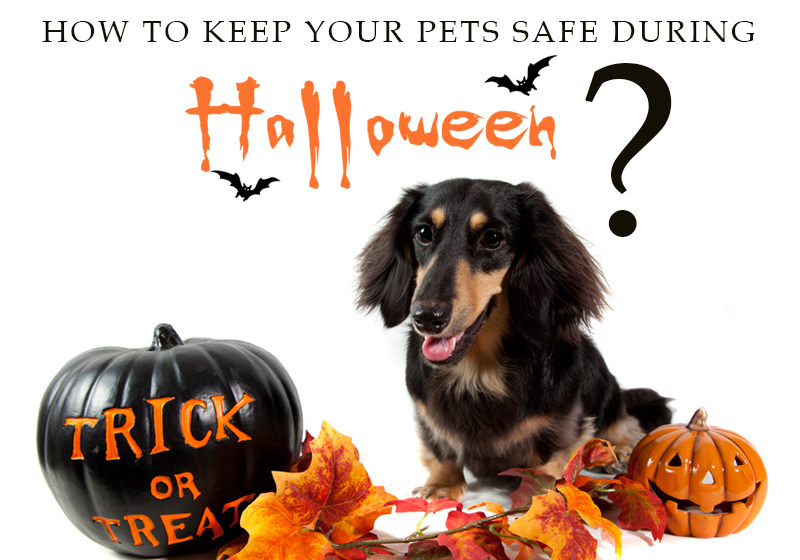 How to Keep Your Pets Safe during Halloween? Are you an animal lover who dotes at the sight of animals? Do furry creatures attract you like nothing else? Do you want to spend more time of your life understanding the tacit communication of cats, dogs and other animals? Do you care about animals? Well, then the best idea is to find a job that deals with taking care of animals. This way, you will be doing what you love and hence it would be an effortless job. Working with and for animals can be a super satisfying experience for animal lovers. Veterinary Doctor: An animal doctor serves all kinds of animals. He/She needs an attitude to serve. In addition, you also need patience to deal with the mute pets. Moreover, an aptitude to study every nook and corner of animal’s health is the basic requirement. One needs to complete four years of undergraduate program followed by internship to become of Doctor of Veterinary Medicine (DVM). If you have the time and money for it then being DVM will make you love your job and be contented. Veterinary technician: Also called as Veterinary Assistants, this post lies next in hierarchy after animal doctor. They need to handle the patient until he reaches the doctor. Starting from attending to an injured animal, checking up the severity of the wounds, basic first aid, maintaining patient chart, billing, customer support to reminding the next appointments are all the factors that fall under the job profile of a veterinary assistant. You need to complete a two to four year program for this. Animal trainer: Behavior training is a must to make your pet not just lovely but well-behaved as well. The job of training an animal is challenging, as you have to mold his behavior for a long-term basis. If you think you understand the nooks and corners of a dog’s mind then you are fit for this job. You will need lot of patience and perseverance to excel in this field. You can start as an apprentice to some professional dog trainer in your area. Pet groomer: To become a pet groomer you should have the creative instinct to turn a dirty dog into the cutest looking furry baby ever. You should not only love animals but also have a knack of beatifying them. For this, you need to assist an experienced professional and learn all the techniques. Mastering this craft will make you famous instantly. You would enjoy a cool job like this. Animal shelter worker: This can be done as a full time as well as part time job. As an animal shelter worker, you need to keep the animals clean as well as feed them. In addition, cleaning their cages, scrubbing their living area as well as playing or walking the dogs is a part of your job profile. If you opt for this then you would be satisfied at the end of the day. There is nothing more satisfying then taking care of abandoned, homeless, abused animals. Isn’t it? Animal cruelty investigator: If you have an urge to stop misbehavior towards animals then you will fit in the shoes of an animal cruelty investigator. Your role demands convicting people who violate the laws of animal welfare. You need to find out animals that are abused and transfer them to animal shelters. A part of your job involves educating people about animal welfare. A strict temperament and a strong feeling against animal cruelty will make you justify this job. If you cannot work full time then you can devote a part of your time for animals by becoming animal caretakers, online vet service provider, animal shelter volunteer, dog handler, pet adoption counselor, animal nutritionist, animal acupuncturist, pet supplies shop owner etc. The best thing is any one of these jobs will give you tons of satisfaction and a feeling of being useful. So, if you have that fire of an animal lover, choose a job in any of these departments and you will enjoy a good night sleep without an iota of doubt. What say? How many times have you heard about canine parvovirus infection, or how many times have you seen a pet hospitalized because of this disease. May be not often or you may not even know about this disease. Parvovirus is a dreadful disease that when not treated early can be devastating to your pooch’s health. This highly contagious disease attack mostly puppies and unvaccinated dogs. In fact, every year alone in the state of America, a dozen of dogs die due to canine parvovirus. The Animal Health Care organizations are always alerting pet owners to be proactive in looking out for the signs of infection, provide vaccination and follow preventive measures to safeguard their pets from this dangerous disease. Well, what you should look for? This dangerous virus attack gastrointestinal tracts of dogs and puppies. They develop certain symptoms that deteriorate their health greatly. The pathogens can easily spread from one dog to another through contact, contaminated feces or vomit. Once it’s ingested it multiplies swiftly and the effects are severe. The American Veterinary Medical Association (AVMA) states that most deaths from parvovirus take place within 48-72 hours of the appearance of clinical signs. Though this virus can affect any age group or breeds of dogs, the most badly hit are puppies. Moreover, it’s fatal for puppies younger than four months and those unvaccinated dogs. According to the American Society for the Prevention of Cruelty to Animals (ASPCA) certain breeds such as Doberman pinschers, American Staffordshire terriers, German shepherds Rottweilers and Labrador retrievers are more vulnerable to parvovirus infection. If your dog displays symptoms of parvovirus, it’s crucial to take him immediately to a vet. Don’t wait for clinical signs to worsen before taking him to your vet. Sometimes diarrhea or vomiting may not be related to parvovirus infection. Proper diagnosis and certain tests carried out in your vet’s lab will confirm whether your furry pal is suffering from this gastrointestinal disease or not. Even though the test turn out to be negative for parvovirus, as a pet parent you need to help him get the treatment from your vet according to the infection he is suffering from. Sometimes, it can be a sign of worm infection such as severe roundworm infection or any other flea and tick transmitted disease. When a dog is diagnosed with parvovirus, the treatment includes preventing dehydration, controlling vomiting and diarrhea, and preventing secondary infections. In case of severe infection, your dog may even have to stay in hospital for five to seven days. When hospitalized the treatment is quite costly. Therefore, normally vets recommend that puppies and unvaccinated dogs should be vaccinated with parvovirus vaccine. This is the most effective way in controlling this life threatening infection and protecting your pet from unwanted danger. When visiting vet office, carry puppy across floors and don’t allow her to smell the dark corners. If you have puppies five months below age, avoid taking them to pet stores, dog park grounds, and anywhere else to avoid infection. If you have adopted a puppy or a dog from rescue house or animal center, check for the vaccinations given to them. If not vaccinated, consult your vet and arrange for parvovirus vaccine. Also, take care that for couple of days, you do not mix the newly adopted pet with other pets in order to protect your other pets from any unwanted diseases. When your dog is sick, avoid taking him to public places. Always dispose dog’s waste in a safe manner. Ensure to wash your hands and change your clothes soon after handling a sick dog. As a pet parent, you need to be aware of this acute disease. A clean environment, proper care and hygienic lifestyle will protect your lovely pooch from deadly disease. So, make a stand to protect your pet right now! In remembrance of Columbus discovery of new world, we at BestVetCare.com are bringing in an incredible sale on pet supplies at our online store. When it comes to your pooch, you must have always talked about their skin, coat, nose, eyes, ears and body health. Least you have talked about his paws, and no wonder you never know how helpful they are for your Fido. Come let’s find some major facts about dog paws and how amazing and crucial they are for your pooch.